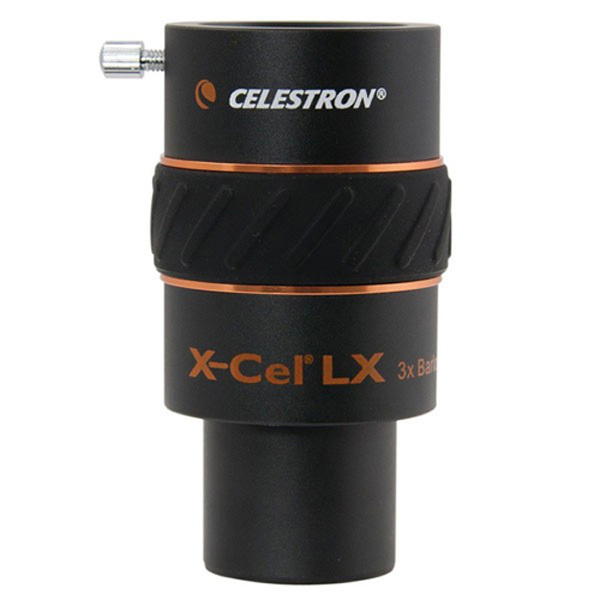 The latest addition to the X-Cel LX line is perfect for astronomical observing, especially with short focal length telescopes. Fully multi-coated 3-element Apochromatic design offers superior sharpness and color correction. This Barlow Lens triples the magnification of your current eyepieces. Perfect for short tube telescope owners that are looking for more power in their lunar or planetary views. Product carries two-year manufacturer limited warranty (within US/Canada only).